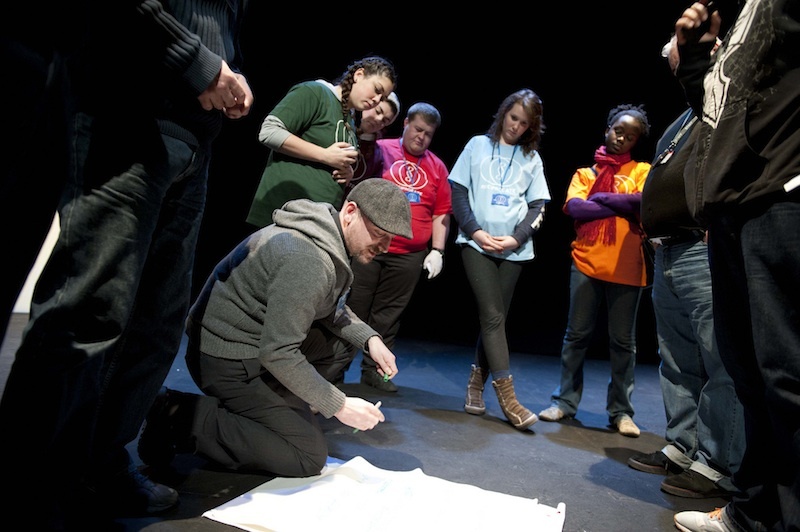 We’ll be holding a weeklong Masterclass in London on sharing principles, processes and techniques that Coney adopts when making interactive theatre and adventures. You’ll learn skills and tools for responsive performance, storytelling, manifesto-making, interactive design, dramaturgy, game design, and of course, adventure-making. At the end of the week, we will combine everything you’ve learnt to create an adventure to share with an audience. The Masterclass is led by Tassos Stevens, and is run by combining Coney’s principles with the talents and superpowers of everyone who takes part. The week will be split into two parts; the first three days will be spent on some toolkits of Coney’s practice, and the final two days will be used to apply these toolkits towards scratching an adventure, which we’ll share to an invited audience. The week runs from Monday 22 – Friday 26 February 2016, 10am to 6pm. Up to two free bursaries are available on application for those of limited means. For more details, take a look at this pdf. To apply drop a line to knock@coneyhq.org with MASTERCLASS in the subject line.